There are so many games that children play on the school playground or at the Neighborhood park, many of which have been played for generations and some that are new for this generation of youngsters. 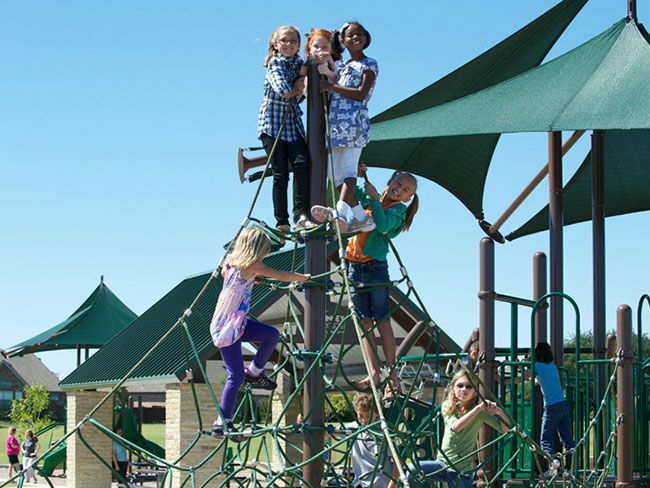 Kids love playing, whether it’s at recess, afterschool, on the weekend or all summer long. There are games kids play on the playground equipment, whether it’s making believe they’re in a castle or mountain climbing. Kids have such active imaginations, though, that they can play games even when there’s nothing but asphalt blacktop or a sidewalk to play on. Games help kids stay in shape, develop their creative abilities and build social skills—what could be better? With the obesity problem in America, active games that utilize playground equipment, jump ropes and/or body movement are particularly important for kids to play. When kids are inactive during their recesses at school and spend their free time at home playing video games and watching TV instead of going outside, they are developing behaviors that could hold them back for the rest of their lives. Games that rely on children’s brains and encourage teamwork are equally beneficial because they help to strengthen mental and social skills that will come in handy as they enter middle school, high school, college and the job market. The games that kids play on the school and park playground offer many benefits, whether they’re creative games that use the child’s imagination or active games that work out the child’s body. Children should be encouraged to play these games as much as possible.